So, a bit to say about this one. This is a recreation of an old sprite I made (turned out horribly). This time I sketched out what I wanted, several times. The piece that I made may look like some sort of pallette swap of the character from GunSmoke, an NES game. I'm proud to say that this is completely coincidental. The bad part is that by the time I sketched out the pose, I decided to dig through my collection of sprite sheets just to get in the mood of drawing pixel art, and I ended up noticing how similar the sprites were potentially going to look. Either way, I didn't feel bad. I felt good knowing that I designed an anatomical pose. 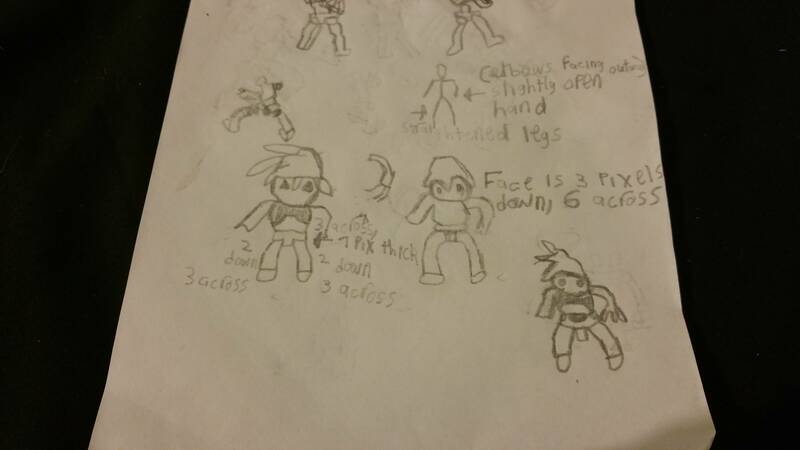 There were some things I omitted from my final design, like the black balls that connect MM's joints. I tried to incorporate them, by my attempts kept making the parts, like the legs, disjointed, or disfigured. it doesnt read as a "top down" (or 3/4 with some perspective like in gunsmoke) sprite for me that much. more like a sideview, especially with all the horizontal lines and the huge feet. 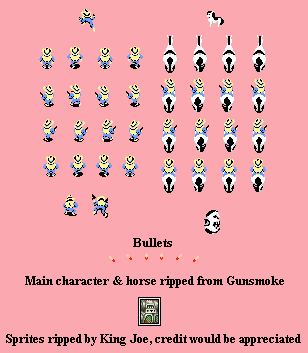 the gunsmoke sprites have a lot of foreshortening going on, with makes the heads huge and the legs and feet tiny. not sure if you want to go for that, that way they are a lot more readable and can fit more detail for hats and stuff. the shadow also helps to give a sense of perspective. Thanks Pyxelbit. I've got a front view perspective pose to try with MM Volnutt, so I'll give that a try, using your sprite as reference (it's still gonna be in 8-bit color scheme, though). The sketches to pay attention to are the ones with text written next to them. Don't worry about reading the text. Those were just instructions for me. This is just meant to be MegaMan standing still - not moving. 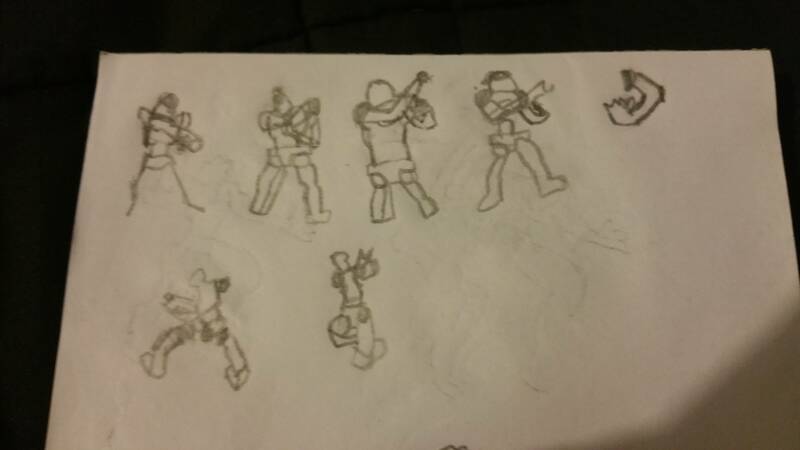 Remember, I wasn't using any established video game gameplay for inspirations for any of these poses. 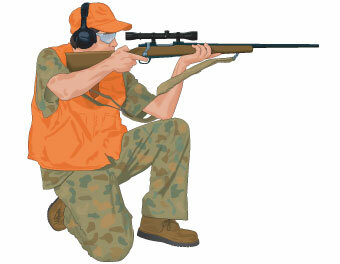 The knees might look bad for the sake of a forward-facing shooting pose. Made the feet smaller. I just wasn't sure how to make those feet look good at first. Made another edit. I reduced the upper torso by one pixel on each side. The body looked too wide to be MegaMan to me. This eventually became very difficult to make. I would like any feedback on this sprite. My sketches would be pointless to upload. I kept the head and the hair the way it is because any lower, and the sprite would become unreadable with the amount of black coming together. I did what I could with the shadow. I don't think I have a knack for shadows. Basically, I was trying to get this pose, with the exception of the other arm trying to steady the gun. I wanted Megaman's arm to steady the gun, but all the clashing blue made it look terrible. Made an edit. Just widened his gun arm by a pixel to emphasize that his gun part is bigger than his upper arm. Brought in his right arm by a pixel. It looked too far away, even for a top-down angle. My final pose sprite. I think I'm ready to move on to my next project. I've been feeling less inspired and motivated to continue this project. I tried for a long time to get the hair to look right from the angle I was going for, but I just couldn't do it, so I settled for the best result I ended up with.